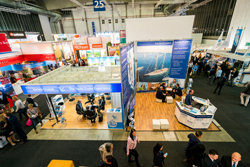 With the internet and social media becoming very powerful ways to market your business and your products, things like trade shows are still happening and are very effective when promoting your business and products. Having a booth at a trade show is an excellent way of meeting new people and potential customers. Most of the people you are talking to at a trade show are there to browse the booths already, so it’s your job to catch their attention and draw them in. 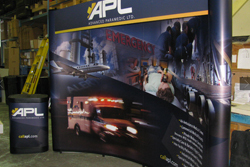 Creating a custom trade show display with Display design Edmonton is your first step in doing this. Designing your booth with a great design, showing off your products and information is what you need to do to get started. Tradeshow displays Edmonton are one of the best ways to build your brand and identity at one of these conferences. As a new business, this is key to getting your company name and brand out to the public, whether it be customers or distributors. Having an amazing looking trade show display can show these people that you are a company to be taken seriously. Now that you’ve completed the steps above and have caught the eye of these customers and distributors, it’s time to keep their eyes focused on you. Your display has wowed them, but having something like a promotion or great presentation can really help to keep them at your booth instead of moving on to another one. These are just a few benefits of having an amazing tradeshow display in Edmonton. For more tips and information contact Display Design today!